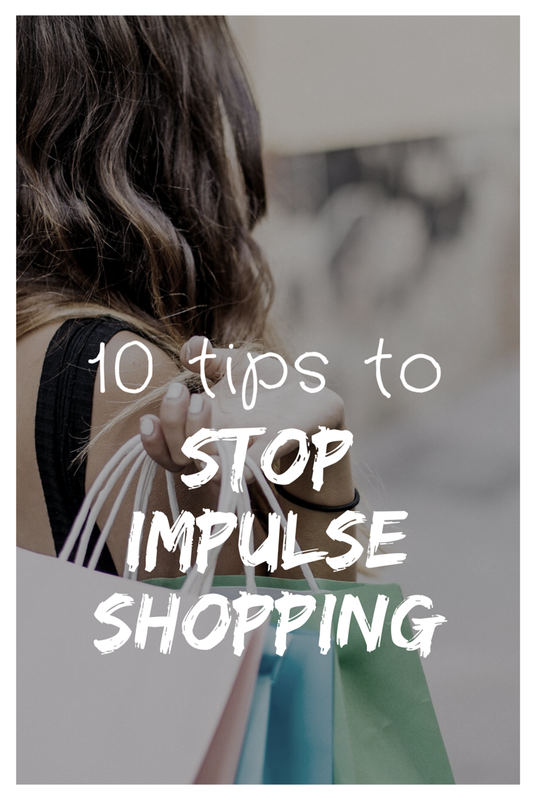 I have always struggled with impulse shopping and am constantly trying to work on this. Do I budget? YEP! Do I love to save money and watch my bank account grow! ABSOLUTELY! Yet, I have always struggled with buying things on impulse. So, here are a few of my 10 top tips that has personally helped me stop the urge to impulse shop. These phrases are only excuses. We use excuses to make ourselves feel better when we do something that we know was probably not the best decision. Once I admitted to myself that I had a problem with impulse spending and I quit using excuses, I was finally able to begin to change. I still mess up sometimes…..but I am much better than I was a few years ago. If I impulse shop. I tell myself I impulsed shopped and it was a mistake. I no longer make up excuses and it has kept me accountable and aware of my goals. Once you’ve admitted that you have a problem, it’s time to pin point the triggers. Does the impulse to spend come after a highly emotional day? Find whatever YOUR personal trigger is, this will be different for everyone. The third step to curing impulse shopping is to find alternative activities to keep you away from your triggers. The past 2 years I have tried to just stay away from Target. No matter what I do, I can’t seem to leave the store without impulse spending. I’ve started shopping at other stores more and avoiding going to Target at all costs. I still go occasionally, but every time I do I regret it. If you have a store that is your trigger, find an alternative store. If you shop when you are sad, upset, bored, etc. find a different activity to help get you through those emotions. If you follow a really cute blogger on Instagram who posts links to her darling clothes and you always seem to swipe up…..unfollow her! Do whatever it takes to find something to keep you away from your personal triggers. When I shop with cash and leave all cards (debit and credit) at home. I am much much more diligent to sticking to my list and budget. I am always worried about being “one of those customers” who show up to the register without enough money to pay for my items. When I know I only have a set amount of money in my wallet I watch my cart closer and it is much easier to walk past the items that catch my eye. If you are new to spending with cash you can read more about my Cash Envelope System Here. Making a list is so important. If you aren’t already making regular shopping lists, you might be surprised by how much less you spend when you shop with that list in hand. Before you go anywhere make a list of the things that you NEED. Even if you are only going shopping for one thing, write it down. Shop with that list in your hand and commit to only buying the things you have written down. Even if you see something on sale. Even if you walk past the cutest shirt you have ever seen. If it’s not on your list than do not buy it. I discuss my 48 hour rule in detail in my Free 14 Day Frugal Living Challenge. The quick version is you wait 48 hours before making any purchase above a certain dollar amount. The dollar amount is personal to you and your situation. Everyone will have a different number that works for them. When we wait to make a purchase we are giving ourselves time to separate emotions from logic, or want vs. need. Be sure to include “splurge money” in your budget. Splurge money is for you to spend however you WANT! Your splurge money will give you a little taste of freedom. If you don’t allow yourself a small amount of freedom, you are much more likely to over spend. There is no right or wrong amount to budget for splurge money. If you have a very tight budget, your splurge money might be small. If your budget has some wiggle room perhaps you could budget yourself a little more. A few of you might roll your eyes at this suggestion. And that’s ok! It might not work for you, but this is something I have been doing more and more lately and it has really been helping me. Occasionally, if I am out shopping and see an item that I really really want…..but it’s not on my list, I will just grab it anyways and put it in my cart. I allow myself to walk around with it in my shopping cart while I do the rest of my shopping. When it comes time to check out I look at the items I added on impulse and evaluate. Should I really buy this? Do I have money in my budget for this item? Is it something I need? Could I wait and budget for it later and come back and buy it? I will usually be able to talk myself out of buying it and go put the items back where I found them. Find a friend who has similar financial goals as you. Use each other as someone to talk to when you are getting the urge to impulse shop. A few years ago I had a good friend who agreed to be my spending buddy. Whenever I would find that one item I thought that I just HAD to have, I would call my friend. I explained to her what I wanted and she would ask me those important questions about if I really needed it, could I find something cheaper, etc. I would often do the same for her in return. My spending buddy was so great at helping me spend less. And because I KNEW I would need to call her before I bought anything….it made me second guess my impulses, I only wanted to call her for important things! 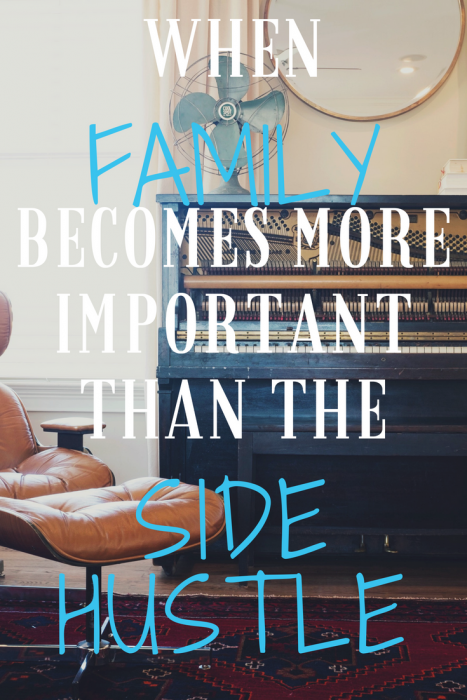 This is one of my very most important tips! Whenever you’re trying to change habits you will make mistakes. It happens to everyone! Forgive yourself when you mess up. Learn from your mistake. Make a plan to do better next time and then MOVE ON. If I am to hard on myself I just end up throwing my hands in the air and giving up. I’ve had those moments when I messed up on my budget and instantly felt like a failure. I would convince myself I’ve already ruined my budget I might as well just keep on spending! This was a giant mistake! Once I started forgiving myself my budget benefited! I am able to start fresh the next day and move forward with my goals. 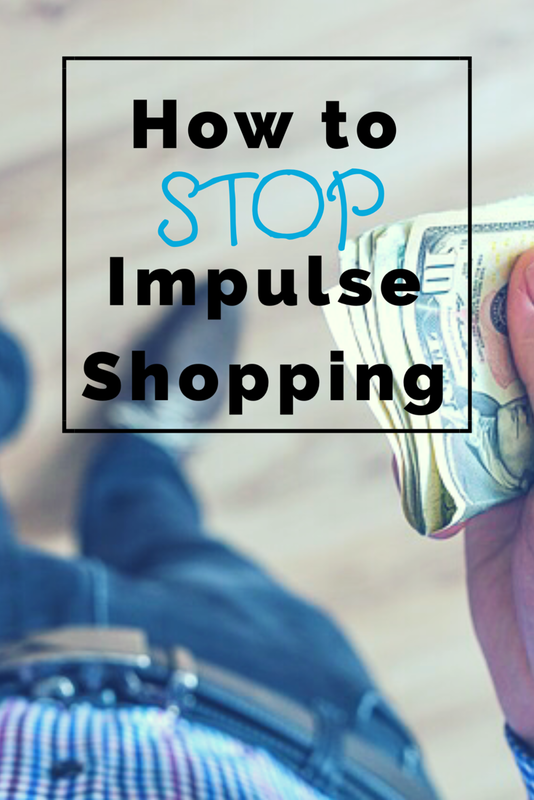 How do you stop yourself from impulse shopping? Share YOUR top tips in the comments below! When I get the bug to impulse shop and I used to get it often, too often, way too often, I tell myself I have to get 5 things done around the place that I have been avoiding. Or I have to finish something I started that needs attention. As in , “You have already spent money on this, so go and finish it.” When the project is finished it is new and an accomplishment, same joy I’m telling you! I love that! Thank you for sharing! What a great way to give yourself that time to let the emotion of wanting to buy pass.